Supporting language learning and teaching at the University of Sunderland. The University of Sunderland offers students the opportunity to study a language through the Combined Subjects Programme (CSP) and as accredited module as part of the University Language Scheme (ULS). We offer a wide range of languages including, Spanish, French, German, Mandarin, Japanese and Arabic. The ULS is open to students, staff and members of the public. Additionally, we offer Teaching English to Speakers of Other Languages (TESOL), English for Academic Purposes (EAP) and English for Business Studies (EBS) programmes. At present, we have four language laboratories equipped with Sanako Study 1200. Computer-Assisted Language learning (CALL) is an established academic field which is evolving over time. Computer-mediated communication (CMC) often happens through one mode of communication for example chat or email (Stockwell, 2010: p85). Multimodal CMC involves communication through more than one mode. Multimodality has become more recognized in CALL increases in CALL (Collintine, 2009; Hampel & Hauck, 2004; in Stockwell, 2010: p86). “When students use multimodal computer applications they are engaged with a range of resources and they work with all the modes present on the screen and around it…“ (Jewitt, 2006: p76). Sanako Study 1200 is a multimodal learning platform with affordances for both synchronous and asynchronous learning. 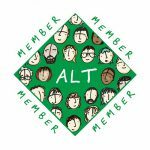 We use it to enable tutor-led sessions, differentiated learning experiences, independent learning and individual and group opportunities for language learning. 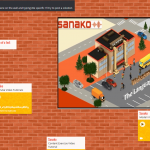 How do we use Sanako Study 1200 to support language learning? A wide range of speaking activities can be carried out through the platform. Tutors provide audio to students via a playlist. Students can engage in pair work, contribute to a group discussion and record in both an individual and group capacity. 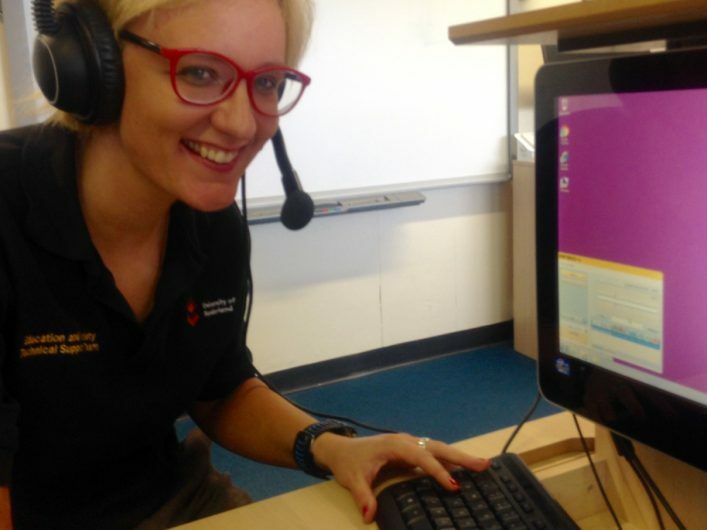 The model imitation feature allows students to practice pronunciation through recorded repetition. Tutors can input text in the Text-To-Speech (TTS) feature to create exercises. Sanako Study 1200 is also useful for interpretation and translation. The voice insert feature allows students to simultaneously listen to an audio file in a target language and record their own voice to create a single audio file. A range of listening activities can be carried out. Students can listen to files in a variety of formats. A closed listening comprehension feature is available for a time constrained assessment (TCA). Traditional language learning activities such as gap fill mean students can listen to audio and complete exercises simultaneously. Tutors can generate progress reports for the whole class. The Sanako Player is available in two forms. 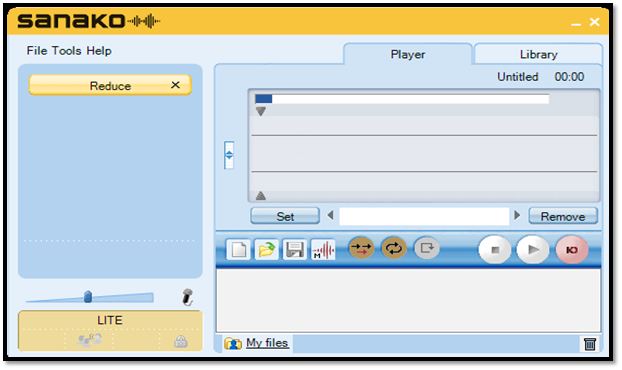 Firstly, the Study Lite player can be used to play, pause, stop and record audio files in addition to voice insert feature. 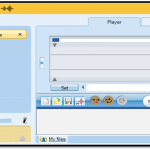 The audiograph feature enables audio files and recordings to be visualised so that students can see what they are listening to or what they have recorded. Secondly, the Solo Player allows adding images, subtitles, exercises and instructions to audio files. The Study Lite and Solo player are available to download for free so both tutors and students can use Sanako at home. It is also possible to practice reading and writing. Tutors can add a text file to the playlist for students to read and listen simultaneously. 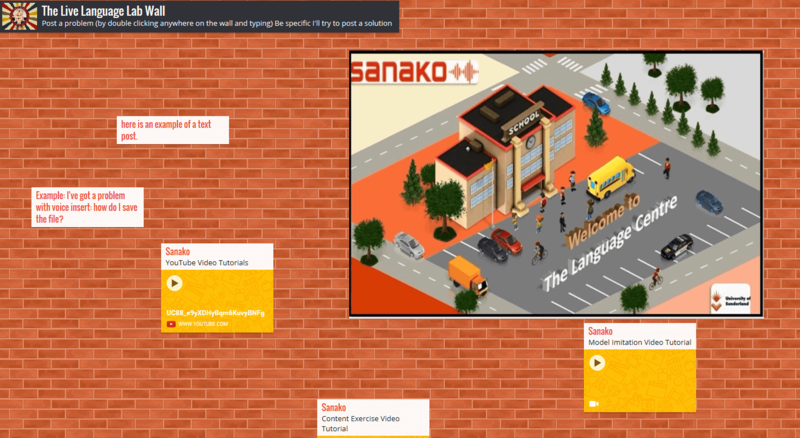 Free writing activities can also be designed using Sanako Web Player and Sanako Anywhere in editor mode. Sanako Study 1200 plays an important role in both formative and summative assessment process for our languages modules. 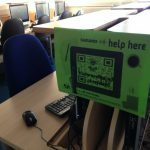 Students can feedback to the tutor using traffic lights to show if they need help. Additionally, tutors can feedback to the whole class or individual students via the messaging feature. Polling in the classroom has become increasingly popular activity to engage students effectively. One of the innovative features includes a live polling mode where the Tutor can ask students a stimulus question and responses can be used to create live results. A range of video tutorials, guides and links are available on the University Language Centre VLE page called SunSpace for both staff and students. Sanako staff have also visited the University of Sunderland to deliver bespoke training to staff. The Language Lab Live Wall is being developed using the online platform Padlet to allow staff and students to post any technical issues they are experiencing in the page for the Language Technician to respond to as they come in. 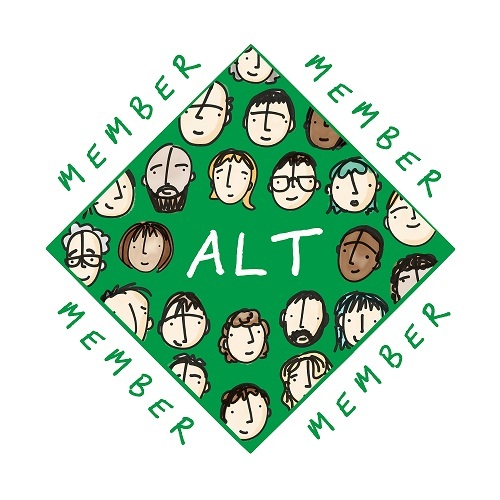 We are also considering using Open Badges as a visual way of recognising achievement in future. 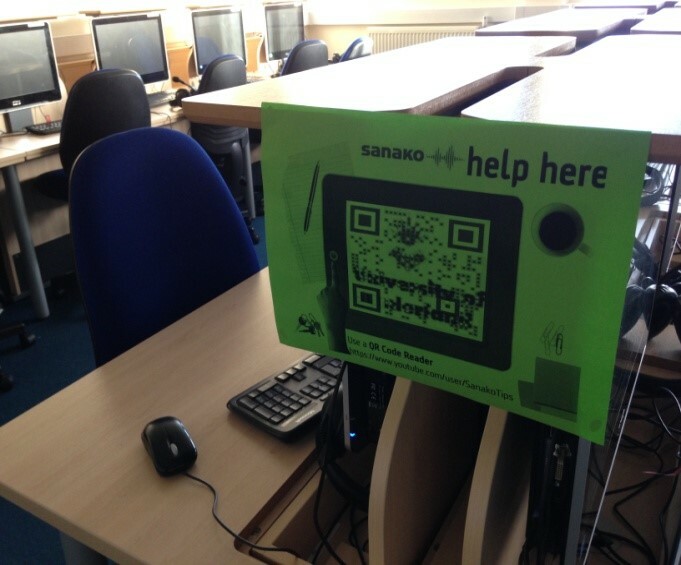 We provide QR codes to Sanako support videos on YouTube in the Language Laboratories. It is important to acknowledge that “…computers are not very good at teaching by themselves” (Hardisty & Windeatt, 1990: p8). The field of CMC explores the impact of language learning mediated through computers. The use of CMC prompts reflection on language acquisition. “The multimodal character of technology-mediated learning raises important questions for what it means to learn” (Jewitt, 2006: p7). Wise use of technology can help us to achieve desirable learning outcomes (Sharma & Barrett, 2007: p132).